A beautiful review and remembrance of Stephanie Irby Suell’s experience at our 2014 Retreat. Thank you Stephanie. Your words mean so much and give us fuel to keep pushing towards the mark. Here’s an excerpt of “My Muse is Dancing Again,” a brief account of depression, writing, and the 2014 retreat. “At the end of 2014, I was privileged to attend The Watering Hole’s 2nd Annual Writing Retreat. The Watering Hole is an online community dedicated to supporting and inspiring poets of color. I was privileged to be a part of the genesis, the 2010 Cave Canem South workshop in Columbia, SC, which were hosted by poets Nikky Finney, Kwame Dawes, Patricia Smith, and Frank Walker. Watering Hole co-founders Candace Wiley and Monifa Lemons envisioned a community of African American writers and sprinted like relay runners! They ran with fervor, passing the baton back and forth when needed, yet never allowing it to touch the ground. Dedicated and committed to their mission, I am humbled and blessed to be privy to their synergy. 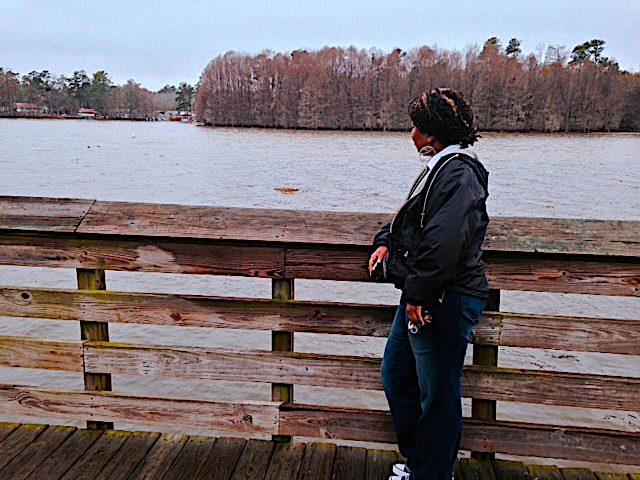 I was honored to be among such a diverse group of poets from all over the world in such a sacred spot in Santee SC. I made the drive from Columbia SC, excited, anxious and full of apprehension. I wondered if this retreat would be beneficial or just another mundane vacation of sorts.